A mortgage pre-qualification is an initial estimate of what type of mortgage a borrower could get. It is limited, though, because it’s only based on what the borrower tells the lender, which might not be the same as what the lender finds out when it goes through a full process of analyzing the borrower and his credit. The lender takes the pre-qualification information that he gets and compares it to the loan programs of which he is aware. For instance, if he knows that a borrower doesn’t have a lot to put down, but the borrower mentions that he’s active-duty military, the mortgage broker might offer a VA loan as an option. Based on the programs he sees and the information the broker gets from the borrower, he will tell the borrower what kind of mortgage to expect. Typically, this gives the borrower a sense of the likely rate and of the amount he can borrow. Generally, this is enough to let a borrower start looking at listings with a realistic sense of what will be affordable. When it comes time to start writing offers, though, a mortgage pre-qualification might not be enough. A pre-qualification is missing one important factor — underwriting the borrower’s income and credit. When a borrower goes beyond a pre-qualification to get a mortgage pre-approval, he submits his credit for the lender to check. 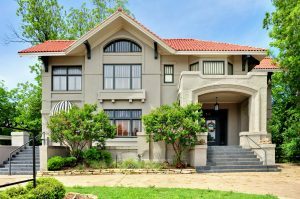 That way, his qualifications get confirmed and the lender can issue a more binding letter that not only lets him know what he can afford but also lets him show a seller that he is truly qualified to get a loan. With that letter, his offer may be viewed as stronger and he can be more likely to get the ability to buy the house he wants. 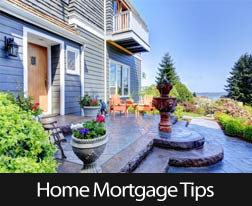 This entry was posted in Home Mortgage Tips and tagged Home Mortgage Tips,Pre-Quailification,Lender by BJ Kirkpatrick. Bookmark the permalink.